Since joining in 2010, Matt’s innovative thinking and strong commitment to the success of his clients has proven him a valuable asset to the Goodwin Financial Team. Matt moved back to his home town of Fort Collins after studying business management and finance at Fort Lewis College in Durango, Colorado. He currently holds his Series 7, Series 6 and Series 66 licenses, and is licensed for Long-Term Care and Life insurance in Colorado. 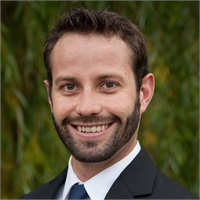 As an experienced 401k consultant, Matt works with local business owners and their employees, as well as individual investors, to formulate unique investment strategies to help his clients meet their financial goals. In his spare time Matt enjoys activities such as playing Ice Hockey, Snowboarding, Camping, Fishing and spending time with his family and friends.